Call or Click to Save on Kitchener Car Insurance! Why Choose ThinkInsure As Your Car Insurance Broker? ThinkInsure has been proudly providing the best car insurance coverage and customer service at the cheapest rates in Kitchener Waterloo for over 45 years. 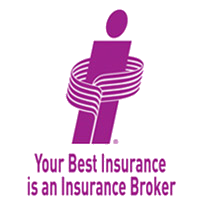 See why so many Kitchener Waterloo drivers choose ThinkInsure as their car insurance broker. Save Money : Compare multiple insurance quotes from leading Ontario insurance companies. This results in you getting real savings on your car insurance. How much? Our average customer saves about $400 each year. Large Selection : ThinkInsure is an independent insurance broker so we can get you unbiased quotes from over 40 insurance companies. You can select the lowest rate or coverage option for your needs. Our Customers Matter : Providing a high-level of customer service and insurance expertise is a top priority for us. Our team of licensed car insurance brokers will help you with your car insurance needs. We Make Saving Easy : We want to make the process of buying car insurance in Kitchener Waterloo as quick and easy as possible for you. Whether you choose to get a Online Quick Quote or call 1-855-550-5515 toll-free and talk to a broker, the best car insurance at the lowest price in Kitchener Waterloo is at your fingertips. Compare quotes and start saving on your Kitchener Waterloo Car Insurance now. Save 20% more by bundling Car and Home insurance! If you want to save money, it makes sense to shop around before making a major buying decision. Car insurance is certainly no exception. As a driver in Kitchener Waterloo looking for value, you'll appreciate how we've made the process of comparing competitive, cheap auto insurance rates quick and easy. Enter your basic information into our online car insurance quick quote tool to quickly compare multiple quotes. You can choose from the cheapest rates in Kitchener Waterloo. Alternatively, call 1-855-550-5515 and one of our licensed car insurance broker will be happy to get quotes for you and help you pick the best option for your needs. How can you know a single car insurance quote is the best rate if it's the only rate you've gotten? At ThinkInsure, we give you a range of quotes. So if you reside in Kitchener Waterloo and are looking for the best car insurance coverage at a cheap rate, we will give you exactly what you're looking for. For us to be successful, your auto insurance needs must be met successfully. As an independent insurance broker, we will get multiple quotes from multiple insurance companies. Then, you choose. We make sure you receive the most extensive coverage possible for the best price in Kitchener Waterloo. Even without a great driving record, you still can choose from the best rates available in Kitchener Waterloo. We find you the most affordable rates, letting you compare rates so you can buy the cheapest coverage. Why wait another minute? Let ThinkInsure get you a number of Kitchener Waterloo car insurance quotes for you to compare. Choose the best one. And enjoy the savings! Do you say you live in Kitchener? Waterloo? Or Kitchener-Waterloo? Maybe you say Cambridge? For those unaware of the differences, Kitchener is the largest city and the seat of regional government in the Regional Municipality of Waterloo, which includes the cities of Kitchener (population 219,153), Cambridge (126,748) and Waterloo (98,780). Kitchener Waterloo (K-W for short) is the name given to the provincial and federal electoral districts. Many people just say they're from Waterloo Region, or simply Waterloo. With a total population of over a half-million people (507,096 to be exact), the Waterloo Region includes the Townships of Woolwich (23,145) Wilmot (19,223), Wellesley (10,713) and North Dumfries (9,334). The Conestoga Parkway and Highway 8 are key arteries, connecting Waterloo, Kitchener and Cambridge along with Highway 7/8 and Highway 401. Unlike many cities whose streets follow a grid pattern, Kitchener is laid out in a radial pattern introduced by its German settlers, who were more familiar with this Continental model than strict, survey-based British grids. While providing charm and character, the street layout in Waterloo presents challenges in assigning compass-based names. With a population expected to grow to 729,000 by 2031, Waterloo is one of Southwestern Ontario's fastest growing regions. How Do These Facts Impact Kitchener Waterloo Car Insurance Rates? Learn anything new about Kitchener Waterloo? Even if you didn't, these stats and facts should help remind you that the Waterloo Region is a vibrant part of Southwestern Ontario - three cities and four townships on the grow - with a lot of traffic on the roads. This translates to a significant amount of driving that occurs in Kitchener Waterloo, which, unfortunately, can lead to car accidents - especially multi-vehicle auto accidents. Plus traffic tickets, car theft, and car insurance fraud all relate to the number of vehicles in Kitchener Waterloo. These factors then contribute to how different car insurance companies arrive at different car insurance quotes based on specific algorithms they use to determine their rates. To ensure you get the best car insurance rates and coverage in Kitchener Waterloo, choose wisely. Choose ThinkInsure as your insurance broker. We shop and compare to find you Kitchener Waterloo's best car insurance coverage, rates and service. We make insurance easy for you. Try our online quick quote tool now OR call 1-855-550-5515 to speak with a licensed broker. And start saving on your Kitchener Waterloo car insurance now. If you're new to car insurance, want to switch to a different auto insurance company or looking for a low car insurance rate, choose Thinkinsure. By shopping for lower car insurance rates, you could save hundreds on your auto insurance." "A product we all must have, so why not get it with great service and great people? They always double check for additional savings and are very helpful." "Thinkinsure made getting car insurace a great all around experience and saved my money. " "They are very great to deal with and give me great service when I need it!" "I just changed to Thinkinsure for my new truck. They got me a great rate and the process was very quick and easy."